Provisional website now up. Needs some more pages, but the bones are there. Momentum is gathering. We have identified another property, made an offer and the lease is being drafted up as I type. To show our commitment, we have to apply to the Council for change of use. Gulp. Lease being drafted up… Wooohooo! Well, they’re coming thick and fast now. Landlord of premises plan B has now called to say he doesn’t want us there. We have no plan C, so basically we are back to square one. Well, this is frustrating. We put an offer in for the lease on a premises over four weeks ago. The landlord insisted he saw business plan (what qualifies him to assess it anyway? ), which we gave him over two weeks ago. I phoned the estate agent yesterday to see if they’d any news , but still nothing. We’d hoped to be open before Christmas, but with the weeks evaporating away, this goal is rapidly sliding from our grasp. 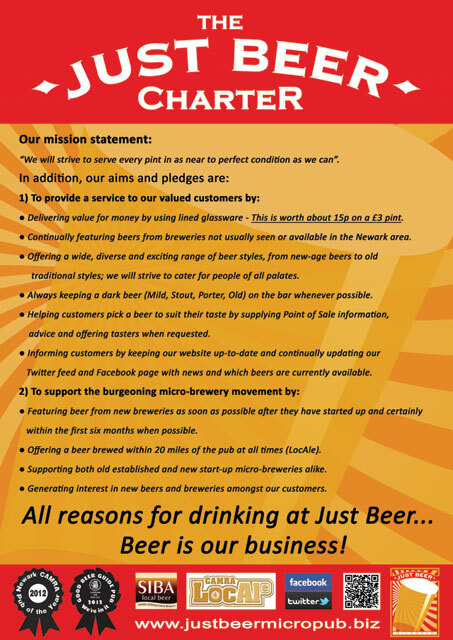 Just Beer Micropub is on Twitter – and we aren’t even open yet!